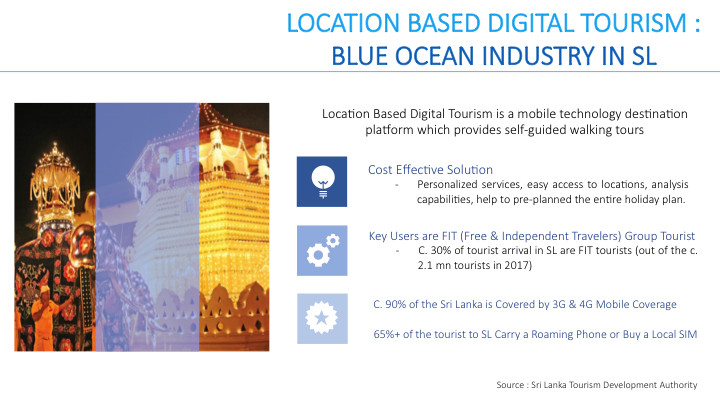 Location Based Digital Tourism is a Blue Ocean Industry in Sri Lanka, well positioned for growth on the back of the growing Free Independent Traveler (FIT) segment. Location Based Digital Tourism provides cost effective travel solutions, with personalized services, easy access to locations, analysis capabilities, help to pre-plan the entire holiday. The digital tourism concept has been adopted widely across countries such as Singapore/ Malaysia. 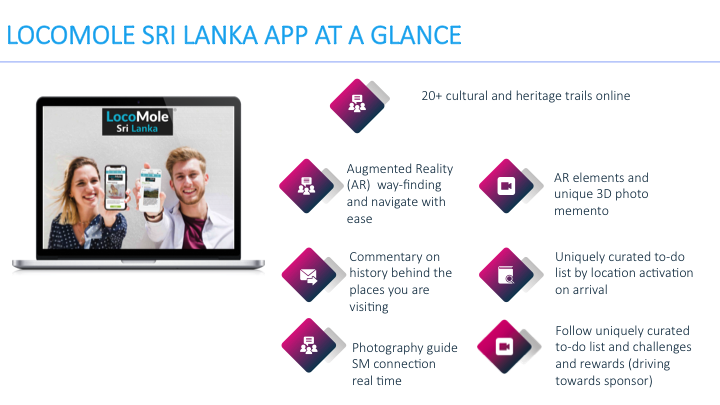 Sri Lanka recorded 2.1mn tourist arrivals (in 2017), with the majority falling in to the FIT and budget tourist categories, driving the informal tourism segment. With the Lonely Planet magazine ranking Sri Lanka as the top tourist destination in the world, 2019 is expected to be a bumper year. 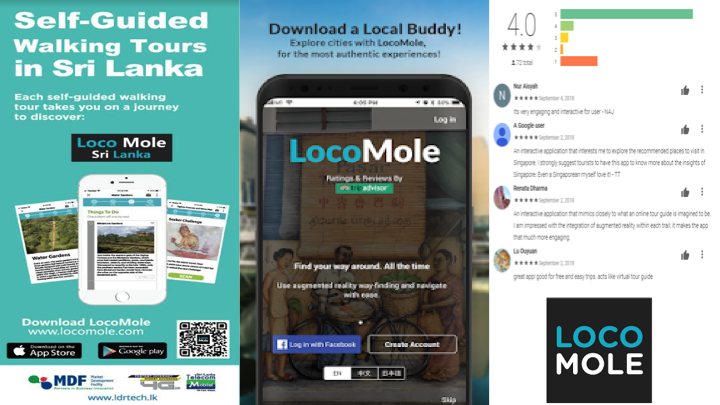 Approximately 90% of the island is covered by the 3G/ 4G mobile coverage and c. 65% of the tourists arriving in Sri Lanka carries a mobile SIM. LDR Technology (LDR) is a mobile technology company specializing in location-based services and technology enabled learning solutions/ experience using location based mobile technologies. 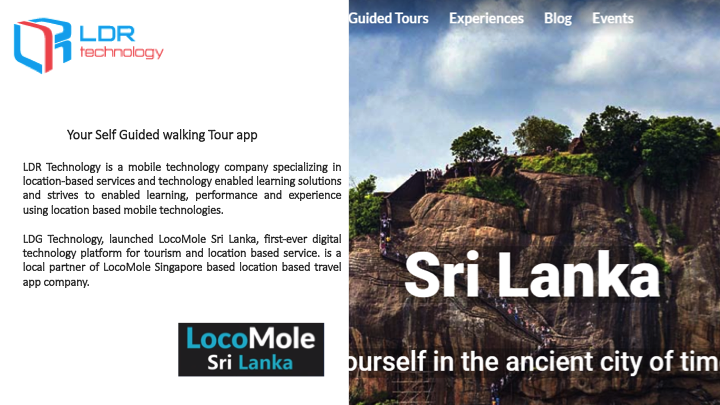 LDR’s flagship product LocoMole (Sri Lanka), is the first mover in the digital tourism space in Sri Lanka with it’s location based services and Augment Reality features. 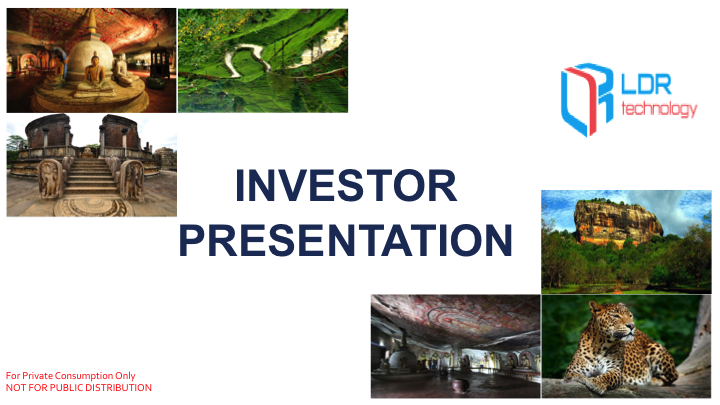 It provides navigation features, local stories to understand context, interactive experience, information about local merchants and self-discovery tourism experience. 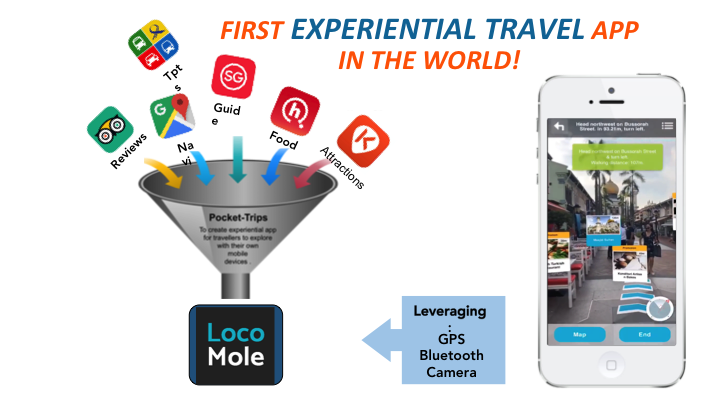 The USPs of the app (cost effectiveness, travel safety angel and the easiness) are likely to attract the growing segment of Free Independent Travelers (FITs). 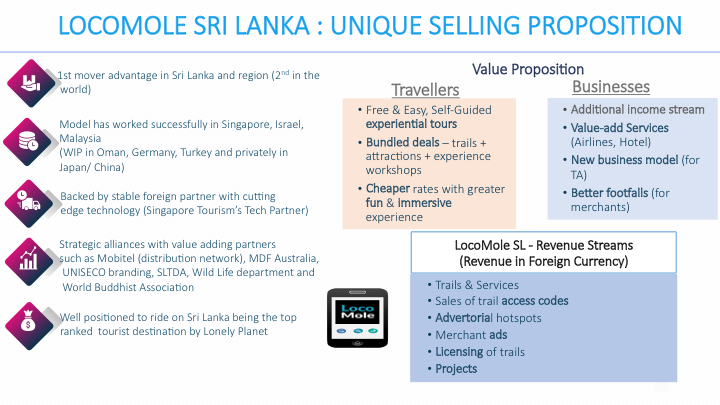 The product is backed by LocoMole-Signapore, the technology partner. 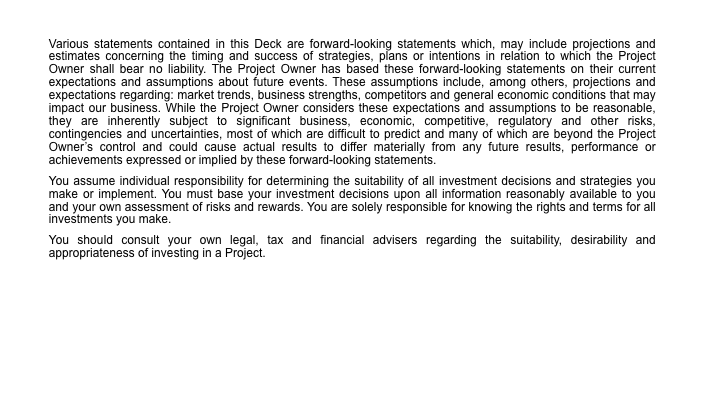 Director and Deputy CEO and Board director of LDR Technologies Singapore. Leading business Driver strategic vision with manage Mobile learning.